Blog COMMON SENSE MEDIA REVIEW OF LEGEND QUEST! 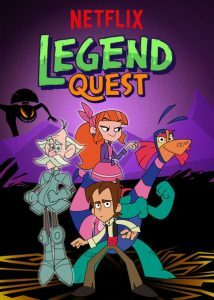 COMMON SENSE MEDIA REVIEW OF LEGEND QUEST! Four star Legend Quest review by Common Sense Media for you parents and teachers. But only one star for educational value? What about all the educational value in learning how to fight legendary monsters? Sheesh!